Song of a Forbes’s Tree Cricket (scroll down for explanation and additional recordings!). This is a look-a-like species with the Black-horned Tree Cricket (Oecanthus nigricornus). 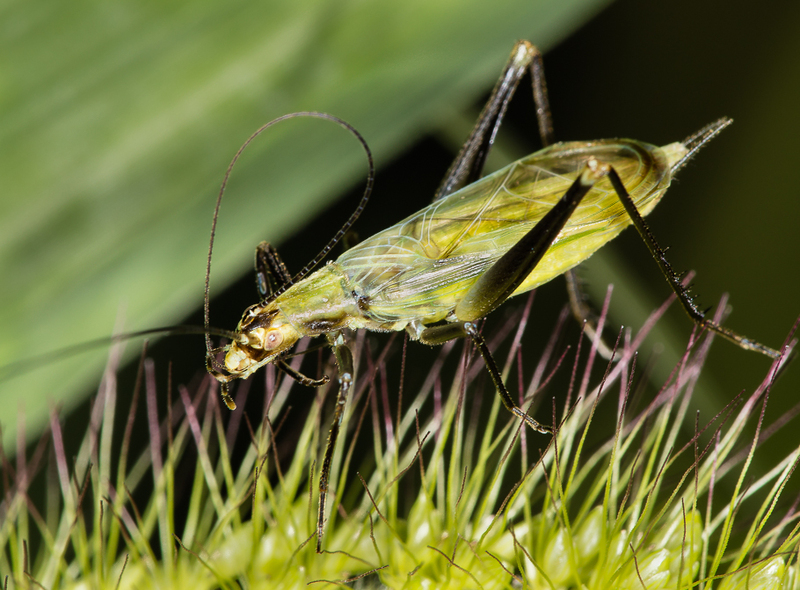 In the eastern portion of the range of Forbes’s Tree Cricket, they are extremely handsome with green bodies sporting black accents on the legs, face, pronotum, and antennae. Farther west, there are an abundance of pale individuals, lacking the darker markings shown in the photos on this page. This can make identification problematic. They are fond of weedy fields with forbs, bramble thickets, and roadsides where they actively feed and call day and night. The range of the Forbes’s Tree Cricket is not well known at this time. Somewhere in eastern Ohio is the dividing line between Forbes’s and Black-horned Tree Crickets. The farther west within the range, the more likely that all specimens are Forbes’s. 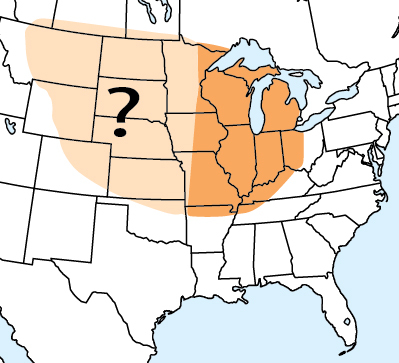 The western extent of this species range is unknown. Song: Forbes’s Tree Crickets sing day and night from weedy fields, bramble thickets, and roadsides. The pleasing song is a continuous trill at 3.7kHz with 63 pulses per second at 25℃. A singing male can be approached carefully and observed singing from his not so well-hidden perch. 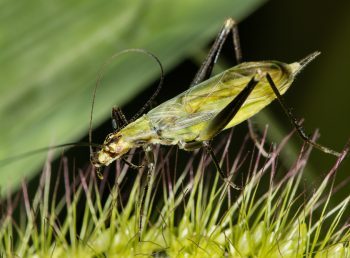 This similar sounding song of the Black-horned Tree Cricket has a slower pulse rate of 50 per second at 25℃. 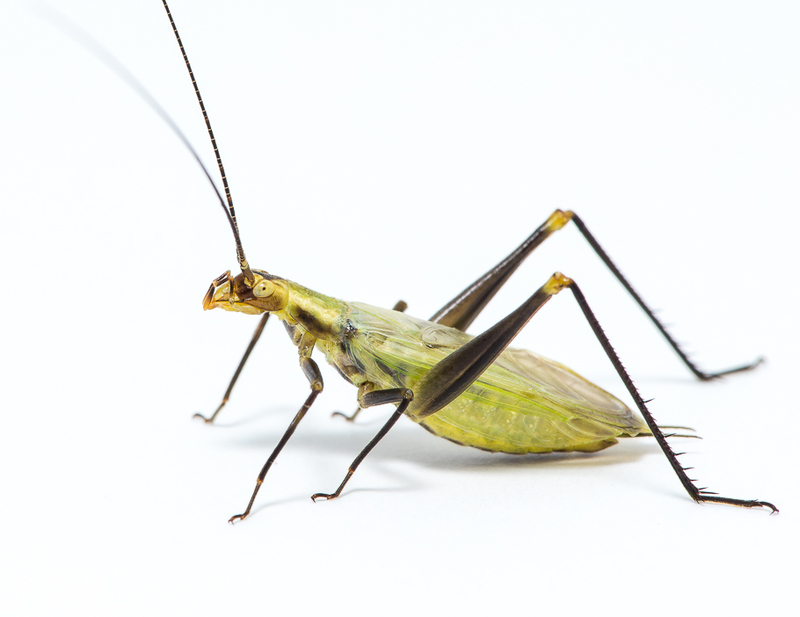 Please see Lisa Rainsong’s excellent post regarding the identification and ranges of Forbes’s and Black-horned Tree Crickets in Ohio. Sonagram of Forbes’s Tree Cricket showing individual syllables.